Years ago, Native Americans did not have diabetes. Elders can recall times when people hunted and gathered food for simple meals. People walked a lot. Now, in some Native communities, one in two adults has diabetes. People with diabetes can manage it. People with diabetes can be well enough to watch their grandchildren grow up. Through working with other organizations including the Indian Health Service Division of Diabetes Treatment and Prevention, developing and disseminating educational materials and bringing awareness, Awakening the Spirit is working to encourage your spirit to fight diabetes, to make healthy food choices and be more active. All of these things will help create a healthy pathway for you and the generations that will follow after you. Nationally and locally, American Indian/Alaska Native communities around the country are working through Awakening the Spirit to encourage Congress to continue funding diabetes education programs in tribal communities. Writing, faxing, calling and visiting congressional members are several strategies employed at the community level to lobby for issues of concern specifically addressing needs identified by the American Indian/Alaska Native community. Awakening the Spirit has various resources available for advocating. Visit Renew Special Diabetes Programs for Indians to learn more. The volunteer leadership of Awakening the Spirit, representing various tribal communities, invites you to join in the fight against diabetes. 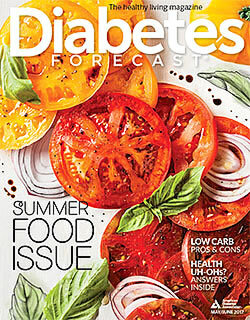 Knowledge is power in the fight against diabetes. We have information to share with you, your family and community about living well with diabetes. Call us at 1-800-DIABETES (800-342-2383). We also offer a variety of books to help people with diabetes and their families live healthy. Visit our online bookstore to learn more.